I am a guitarist / bass player / singer / songwriter / producer and lifelong professional. 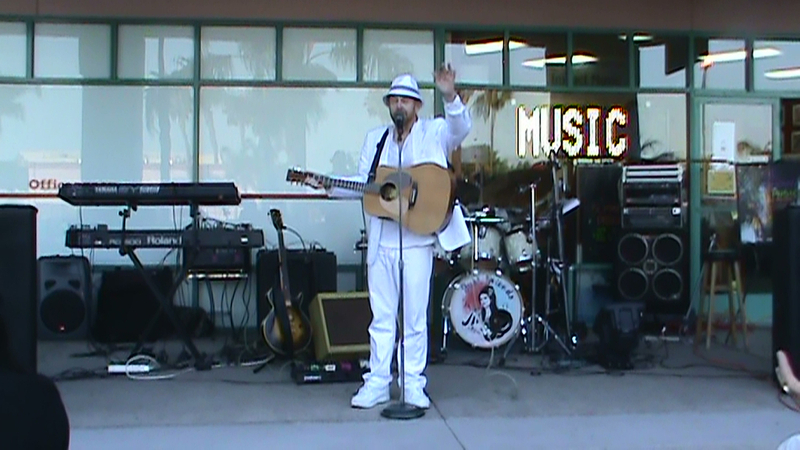 I also double on keyboard, drums and harmonica, and have played on major albums, concerts and tours. I have mixed concert sound for the likes of Led Zeppelin and Jethro Tull and opened up for Frank Zappa and Alice Cooper, among others. Several of my former band mates are now playing with successful bands like the Doobie Brothers and Alabama. When I wasn't doing all these fun and exciting things, I was making a living playing clubs and casuals. In the studio, I have co-produced two major albums (one with Stan Ross) that received radio airplay and played bass on many sessions. I have also produced countless demo sessions, sometimes playing all the instruments and doing all the vocals. I have been fortunate to have had these great experiences and played with such talented musicians. However, that is all in the past and I am always looking toward the future. Right now, I am seeking a young female vocalist to be the centerpiece of a band project that I want to produce and manage. Talent and stage presence are more important than experience, and an ability to sing harmony would be helpful. Of course, a great passion for singing is always an essential element. I have access to a great recording studio, some good musicians and plenty of original songs. But I always say "It's all about the vocals", so it starts with the singer. If you are a female vocalist with talent and stage presence, please get in touch with me. Also, if anyone needs a guitarist or bassist for a lounge gig or casual, I am available, depending on the details. Best of luck to everyone. You can call me at (714)892-2851 or e-mail me through Bandmix. Christina Aguilera, Aretha, Janis, Beatles, Motown, Clapton, Hendrix, jazz, funk and many others..
Too much to list. Whatever is needed for the situation. Hendrix song, I played all instruments.